For the next few Sunday evenings the excellent 'Last Chance to See' series starring Stephen Fry and naturalist Mark Carwardine is airing in Australia. 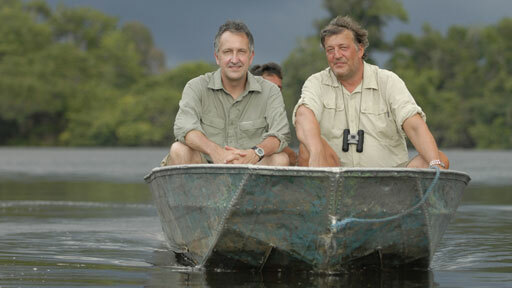 The pair go in search of some of the most endangered animals on the planet. Last Chance to See originally started as a radio program and book from Carwardine and author Douglas Adams back in 1990. Twenty years on, and after the death of Douglas Adams, Stephen Fry and Carwardine retrace the vision of the original journey. It's a brilliant combination of Stephen Fry's wicked humour with some of the planet's most incredible animals. Fry and Carwardine travel to several biodiversity hotspots to see animals such as the Amazonian Manatee, the Aye-Aye and the white Rhino.